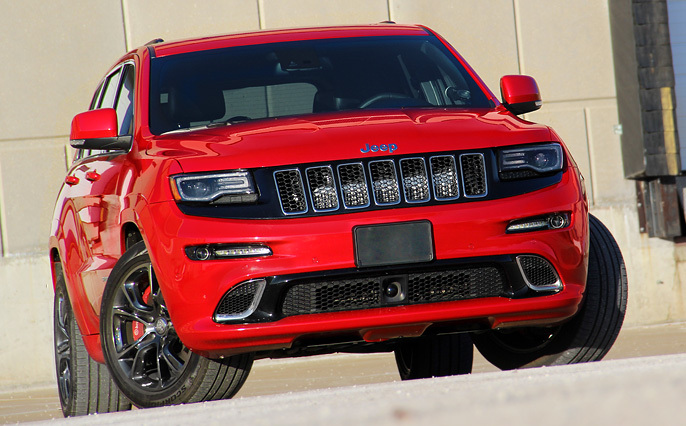 » Jeep Grand Cherokee SRT & Trackhawk (2012-2019) Jeep Grand Cherokee SRT & Trackhawk (2012-2019) | Motorsport Technologies Inc. The SRT Jeep with its 470 HP 6.4L has amazing potential. Adding boost is the best option to see huge power & torque gains from this engine all while maintaining stock type drivability and reliability! Bring the power up from your 470 base HP SRT-8 to 685 HP with our installed supercharger package! We have extensive experience in developing the package that best suits your needs. Please contact us and let’s discuss what you are looking to achieve. The 707 HP Trackhawk is a beast to begin with but with simple bolt-ons, huge gains in power and torque can be achieved. ProCharger is pleased to announce HO Intercooled Systems and Tuner Kits for the 2012-2018 Jeep Grand Cherokee SRT. Building on the proven performance of ProCharger HEMI SRT8 supercharger platforms, this patented technology continues to lead the industry in OEM-style fit and finish, ease of installation, and reliable performance. ProCharger HO Intercooled Systems are supplied with the patented self-contained P-1SC-1 supercharger, proven tuning calibrations, and a handheld programmer set for a 215+ horsepower gain over stock, on 7 psi of boost and pump gas. Higher boost levels and horsepower are possible with an Intercooled Tuner Kit and custom tuning, and even higher with modified motors. The HO system is 100% reversible, with no trimming or cutting to any factory OEM plastics or hardware. As if that wasn’t enough, you also have your choice of multiple supercharger and bracket finishes: satin, polished, or our new black finish. PROCHARGER SUPERCHARGERS MAKES JEEP SRT GRAND CHEROKEE SUPERCAR QUICK! With nothing more than a bolt-on ProCharger supercharger system that installed in a matter of hours, you can shed nearly 1.5 seconds off your 0-60 time, and absolutely destroy this Jeep’s closest competitor. Trust us when we say, you’ll never look at the Jeep’s Launch Control button the same way again. Use it sparingly though, because ripping off supercharged launches under full power can become addicting … and you may have to contact a doctor to remove the permanent grin from your face. Now lets dive into some other features that make this ProCharger system so awesome. Upon opening the hood, the first thing you’ll notice is the ultra clean OEM fit and finish of the ProCharger supercharger system. No cutting or trimming is required during installation, which makes returning the truck to stock a breeze (If needed). The supercharger and bracket can be purchased in satin, black or polished finish. Once the ProCharger Jeep Grand Cherokee SRT supercharger system is installed, people with a keen eye will notice the large air-to-air intercooler lurking behind the grill, demanding respect from “car people” in the know. Large and highly effective, the ProCharger intercooler is HUGE–good news for people looking to turn up these SUV’s above and beyond the HO intercooled system to produce even more boost and larger power gains. This ProCharger supercharger system was designed with long lasting performance in mind. Thanks to the amazingly efficient P-1SC-1 supercharger and highly effective intercooler, massive power gains are possible with only 7psi of boost! Such a low boost number means you can be safe to run quality pump fuel from any gas station in the country (91+ octane). Contact us about our 800 HP Trackhawk package and we’ll be happy to email you details about it.